the mark 1 containments also have a water resevoir below the containment, does this unit not have any steam driven pumps? www3.nhk.or.jp says The operation at Fukushima No.1 plant to lower pressure of the containment vessel has been suspended due to high radiation levels at the site. @Timothy Smith--The reactors won't blow up. Secretary Clinton was evidently misinformed in her remark about coolant. USAF was quoted later as saying they offered logistics support but Japan didn't need it, at least not yet. wouldnt it be better to use some kind of precision jet directional perforating explosive to put a few holes in that pressure vessel before it blows up entirely? (trust me they can be very precise if used correctly) if the valve cannot be made to work - would that be a viable alternative? No, they won't blow up. They'll melt down. I think I would prefer neither. Yes, The reactors won't blow up. Fisionable material is not concentrated. er the reactors dont blow but they melt into the water table and cause steam explosions dont they? why are they looking for ways to release those pressure? Are they afraid or concerned that the reactor may blow up? By design, there is no way possible for the core geometry to reach "critical geometry" In addition, with a loss of coolant, there is a loss of neutron moderation, which will prevent the fission process. They wont blow up but the effect of the radiation getting into the atmosphere would be dire to say the least not just for japan if the wind caught hold of it.. The operation at Fukushima No.1 plant to lower pressure of the containment vessel has been suspended due to high radiation levels at the site. Pressure of the reactor container is rising as its cooling system became dysfunctional due to a blackout and power generator breakdown. This has raised concern about possible damage to the container. 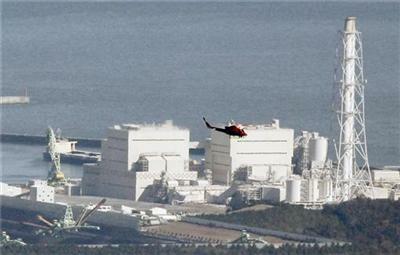 The power station's operator, Tokyo Electric Power Company, began to vent air from the reactor container at 9AM on Saturday. Under the plan, 2 valves close to the container would be opened manually, but radiation level on the second valve was found higher than expected. The operation has been suspended because of the possibility that workers could be exposed to radiation. The utility is reportedly studying how to open the valve by replacing workers at a short interval, or using electric remote control. (Reuters) - Japanese nuclear authorities said that there was a high possibility that nuclear fuel rods at a reactor at Tokyo Electric Power's Daiichi plant may be melting or have melted, Jiji news agency reported. Keep in mind that the experts working on the plants know this is a post-Chernobyl world, and that they want to protect citizens above everything else. If they weren't optimistic about fixing the plant, they'd be getting ready to seal it off or further evacuating people. In the event of a "meltdown", the fuel will simply fall to the bottom of containment, where it can be cooled in the Suppression pool. The core at Fukushima No. 1 nuclear power plant's No. 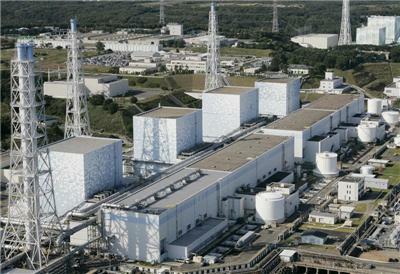 1 reactor may be partially melting, the nuclear safety agency said Saturday. What is not being reported widely is the efforts by TEPCO on the Fukushima 1 Unit 1 reactor are being done on a long term cost saving measure. Introducing a large quantity of boric acid into the core coolant will effectively kill the reactor, substantially reducing residual core heat, but doing so contaminates the reactor with neutron poisons, such that restarting the reactor later will take a long time and may be financially infeasible due to the cost of neutron poison removal. @Daily stop saying radiation will get into the air there is always radiation in the air and it comes primarily from the sun! contamination gets into the air, the radiation is then emitted. The NHK report at www3.nhk.or.jp/news/html/20110312/t10014623511000.html (in Japanese) seems to say that one fuel bundle [at least] appears to be abovewater and damaged. Could someone more fluent please check my impression of this content? if there is a loss of neutron moderation, it will increase fission process. "In the event of a "meltdown", the fuel will simply fall to the bottom of containment, where it can be cooled in the Suppression pool." NHK also reported in the same story that the rest of the fuel is cooling. Very confusing. the explosion per say wouldnt be a problem in and of itself would it? just the loss of radioactive containment right? Injecting Standby liquid injection (Borated water) requires electricity to provide power the pump. It's a low capacity injection source. The reactor is already shut down-all control rods in, therefore there is no reason for boron to be injection. Adding boric acid won't help cool the reactor. It's already sub-critical, and the is no concern of a positive reactivity addition. What they need is to keep the fuel covered with water and keep it cool. @ Greg-You are clueless. Neutron moderation is the slowing down of neutrons, which is required for the fission process to occur, as a Light water reqctor operates on "slow neutrons" . It is NOT a fast reactor. I think we concentrate and discuss the nuclear problems to the exclusion of the larger problems over there because we humans have some sense of control over the nuclear facilities. i.e. If they had done this... If they do that... As if we focus hard enough we can control the problem or at least prevent a recurrence. That reaction is normal in the face of such tragic, catastrophic, and completely uncontrollable events such as earthquakes and tsunamis. It's like the guy repairing the front steps while his house is under foreclosure. The nuclear issue has the added bonus of fascinating nearly everybody due to the horrific possibilities inherent in such leashed power coming unleashed. Most of us feel immune to tsunamis due to location. We all feel vulnerable to the horrors of radiation.contamination. If these valves had to be opened manually -as mentioned earlier- then our heartfelt thanks to the person(s) that accomplished this. Even after struck with such a massive disaster, The Japanese Administration's timely effort prevented the death toll to rise dramatically. We know what happened in Gujarat when 6.8 magnitude earthquake struck. At least this time let our leaders and Administration study and practice a good system to rescue people when such kind of calamity happens. Thanks Tony, Some good news. The Japanese are acting properly combating this casualty. Venting off steam to preserve fuel cladding integrity ultimately limits the total amount of radioactivity release potential. Minimizing fuel cladding melting keeps the radioactive fuel and fission products largely isolated to the fuel and primary system.